You know you've discovered a great book when you mourn the day you finish reading it. 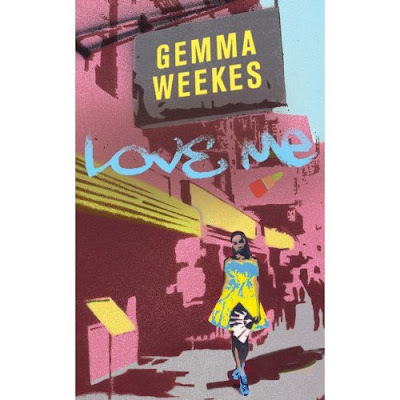 I had this very experience recently after completing Gemma Weekes's awesome debut novel, 'Love Me'. Set between London and New York the book introduces us to a spunky young protagonist named Eden who fancies the pants off a childhood friend, but has to contend with him getting it on with her former work mate, who just so happens to be a professional model. After trying in vain to to make said male friend see the error of his ways, she flees to NYC downtrodden and broken hearted. When she arrives she discovers that her crush has also taken a sabbatical to the Big Apple, and is living under the same roof. Together they are forced to deal with their issues of the past and decide once and for all on the course of their relationship. 215elfnncHoney i googled and found this review and while you did speak about the book and gave a sweet little synopsis, you failed to mention the essence of this novel. You never mentioned Saint Lucia,AT ALL! which even if she never physically went there, that island was much a part of her as London and New York, hell its where the bloody author hails from. i expected more from you and you didn't do this book any justice at all. Neither could i but again nice try.